Based in Fairfield County, Fitzgerald’s Fine Catering is one of Connecticut’s premier wedding and special event catering companies with over 35 years of experience, catering award-winning special events including weddings, corporate and non-profit functions, and private parties. A descendant of a family-owned catering business that began operations in 1948, Nicholas Shope continues the legacy with the goal to provide his clients with everything they need to make their special day a huge success, to deliver innovative cuisine, and to achieve excellence in all aspects of event catering. 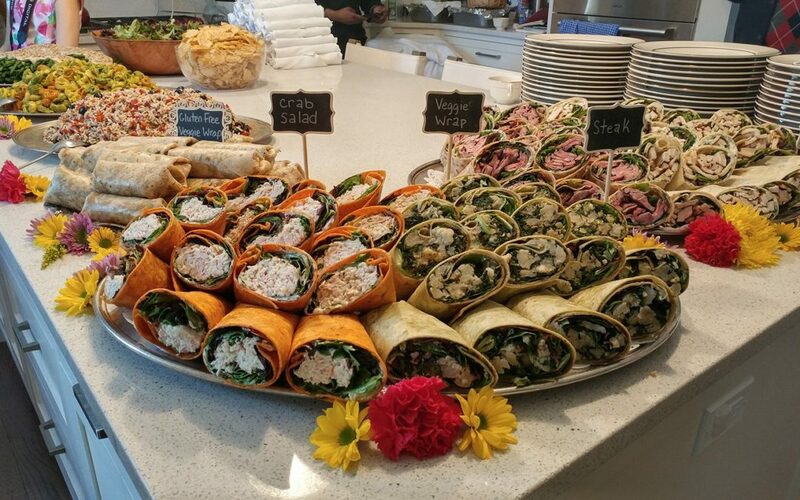 Fitzgerald’s Fine Catering is a full-service Connecticut caterer specializing in wedding and corporate catering in the Fairfield County area and beyond. We have the capabilities to handle almost every aspect of your most important day from the planning stages to completion. Our years of experience has allowed us to host almost every type of wedding from casual to elegant across countless wedding reception venues throughout the state of Connecticut and New York and beyond. By hiring the CT wedding caterers at Fitzgerald’s Fine Catering to cater your event this summer, you can rest assured that your food will be fresh and taste amazing. A menu to excite your palate, experienced personnel, polished silver and china, rich linens and elegant serving accessories. We put a lot of effort into our food preparation and we take pride in providing the best possible overall experience for our clients. With over 30 years of experience in the catering industry, our knowledge and capabilities allow us to make your Connecticut wedding or any affair one to remember. Contact us today for a free tasting and consultation. We look forward to hearing from you! You can contact Fitzgerald’s Fine Catering of Connecticut at (800) 368-1823 with any questions you may have regarding your wedding party. Fitzgerald’s Fine Catering is an award-winning catering company renowned for exceptional cuisine using fresh ingredients, delivered with professional service for weddings, parties, and events throughout Fairfield, New Haven, Hartford Counties and beyond. We offer no-cost tasting sessions, so you can experience first-hand the quality of our menu options. During your consultation, we will allow you the opportunity to explore how your own ideas can be worked into our existing menus. Fitzgerald’s Fine Catering of Black Rock, Connecticut performs catering services for Weddings, Corporate Events, Private Party, Birthday, Bar/Batmitzvah, Holiday, BBQ/Picnic, Brunch, Showers, Memorials Fund Raiser, Clam Bake, Our service area includes the following towns in Connecticut and surrounding areas; Fairfield, Southport, Westport, East Norwalk, South Norwalk, Darien, Greenwich, Ridgefield, New Canaan, Bridgeport, Easton, Weston, Trumbull, Monroe, Danbury, Brookfield, New Haven, Hartford, New London, Madison, Middletown and beyond!